It's an amazing feeling when your team just clicks - everyone feels a shared drive towards success. But how do you ignite that feeling on every team? Post-it® Brand is here to help with a range of tools designed to help your team work better. 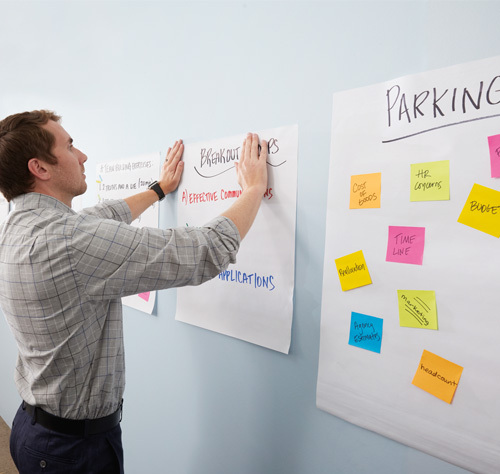 With Post-it® Dry Erase Surface, transform your space and inspire collaboration. No tools required - simply unroll, peel and stick: Whether on the wall or on a conference room table, the clean, sophisticated design applies flush to the surface and can easily be cut to size to create a custom whiteboard solution. Where do you do your best thinking?Dry Erase Surfaces give you the freedom to have whiteboard in more places to drive productivity, efficiency and innovation. 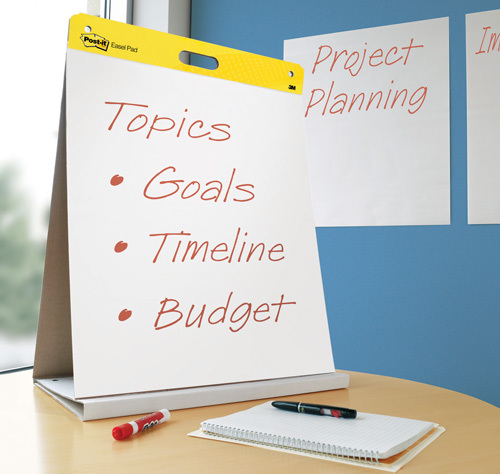 The Post-it® Super Sticky Easel Pad will help engage and foster participation in a group environment. A must have for your next meeting! Jot down your ideas and post them around the room to help get the creative juices flowing. Gone are the days of death by PowerPoint! Make any room a meeting room!